Bar Grating can meet almost any load bearing or weight requirement and is the most durable grating for rugged applications. Bar grating is a top choice for strength, safety, and long-term cost. Bar Grating consists of a series of bearing bars welded (or otherwise joined) at various intervals to perpendicular cross bars to form a load-bearing panel. Panels are manufactured by welding, locked by swaging, or press-locked processes. A typical panel configuration has bearing bars that are spaced 1-3/ 16 inches (center to center) with perpendicular cross bars spaced 4 inches apart (center to center). Other spacings are available to meet your loading and open area requirements. Bar Grating is available in a wide selection of panel sizes; bar sizes and spacings; bar shapes; and material types. 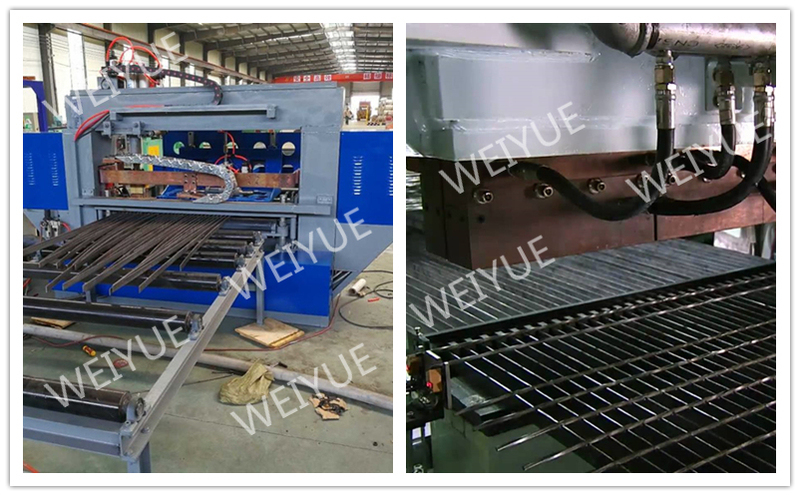 The most popular style is Welded Bar Grating. 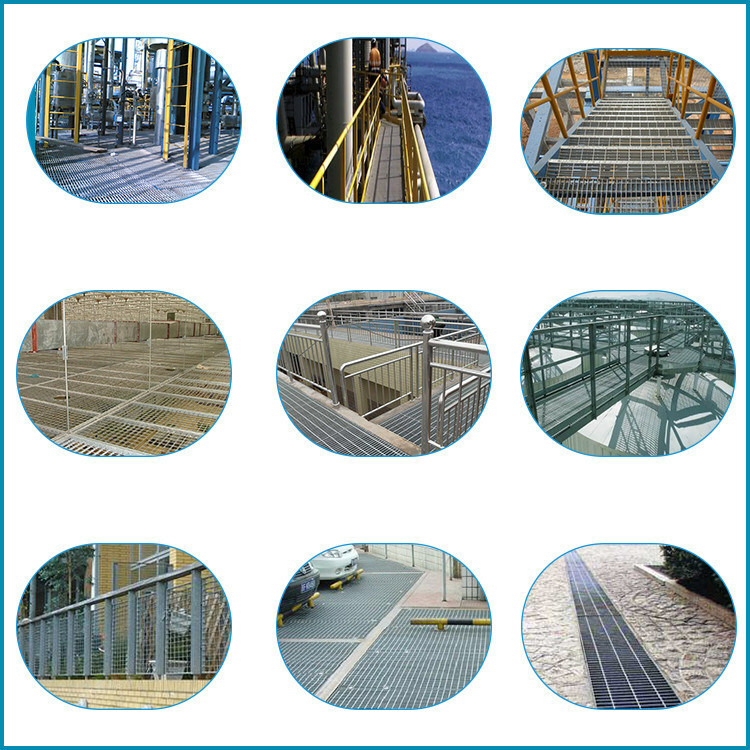 Widely used in the platform, corridor, bridge, well covers,fencing for petroleum, chemical, power plant,flooring,catwalk,mezzanines/decking,stair tread, fencing, ramp, dock, trench cover, drainage pit cover,ceiling,maintenance platform,factory, workshop,Â Â office buildings, apartments, train stations, department stores, hospitals,amusement parks,etc. Painting: according to the clients' requirement. 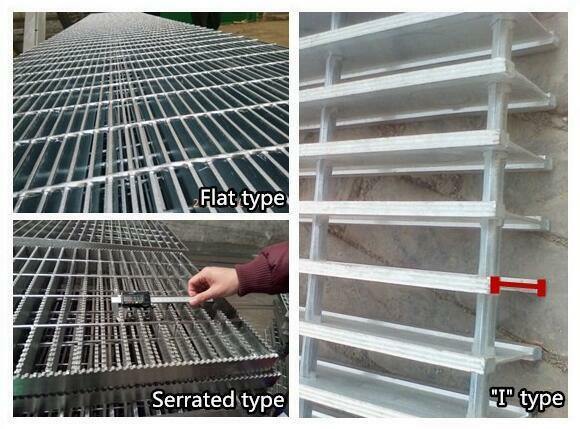 Flat type: the most widely steel grating. Serrated type: With better no-slip. "I" type: On the surface, path and items not in the same flat. With the character of light weight, economic and practical.